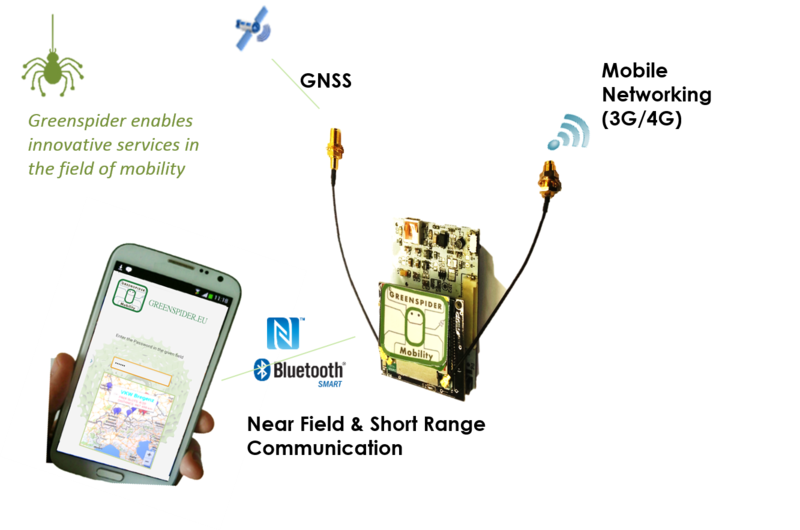 Thanks to its Satellite Tracking technology embedded in ultra-low-power circuits Greenspider contributes to the diffusion of efficient sustainable mobility schemes. 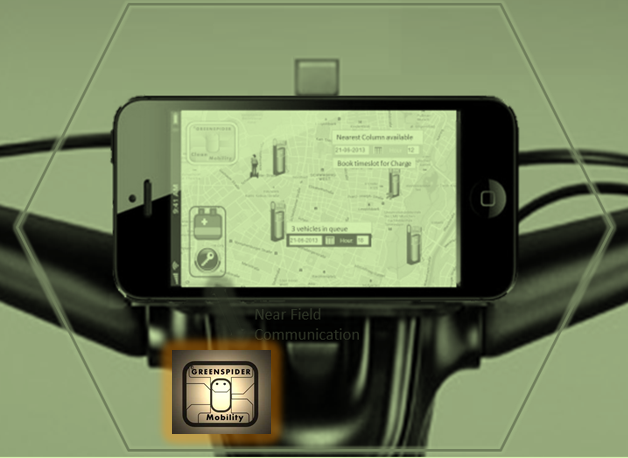 The innovative devices embeds in a single circuit Satellite Positioning, Machine2Machine Communication, and NFC proximity technology, enabling easy access and advanced services for vehicle sharing schemes, like mobile subscription and mobile payment, according the new business models for environment and economic sustainability in urban mobility. 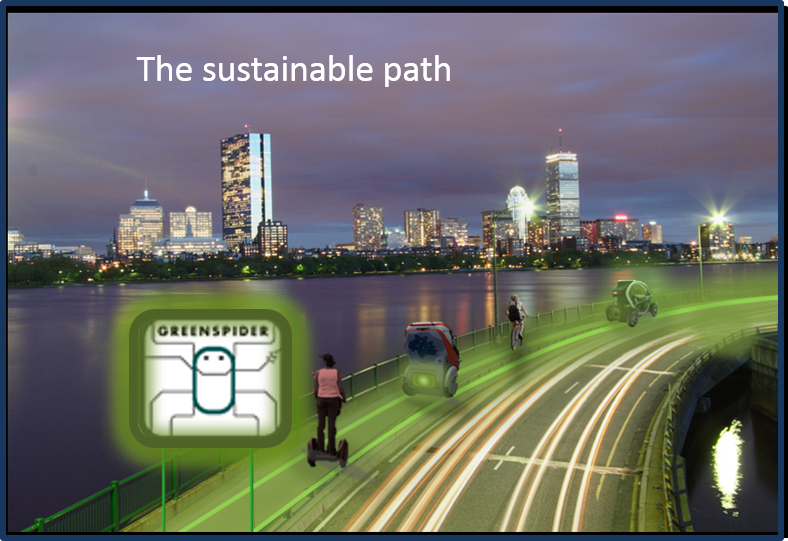 SMASH - Greenspider’s commercial proposal for sustainable mobility is called SMASH (Smart Sharing), and aims to provide benefits for the Mobility Operators and for the final user that can easily and flexibly access the innovative services. The Open and Disruptive Innovation scheme aims to foster the development of fast-growing, innovative SMEs with promising, close-to market ideas bearing high disruptive potential in terms of products, services, models, and markets. 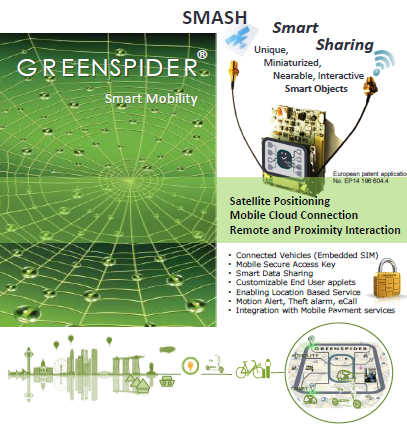 In April 2015 Greenspider signed with EU commission the Grant Agreement for the project 672598 - SMASH, Smart Sharing, Phase1. 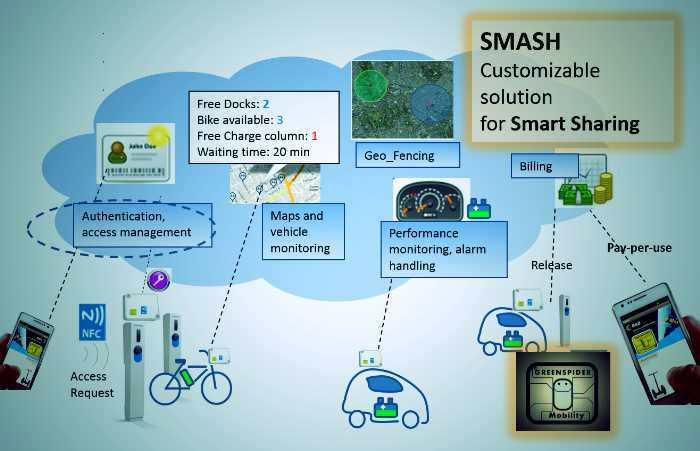 Many prospect customers, in the different target segments of smart mobility, are confirming their interest for the product SMASH. Multiple market opportunities are opening, relying on the same device with high level of scalability, thanks to minor customizations for each target. 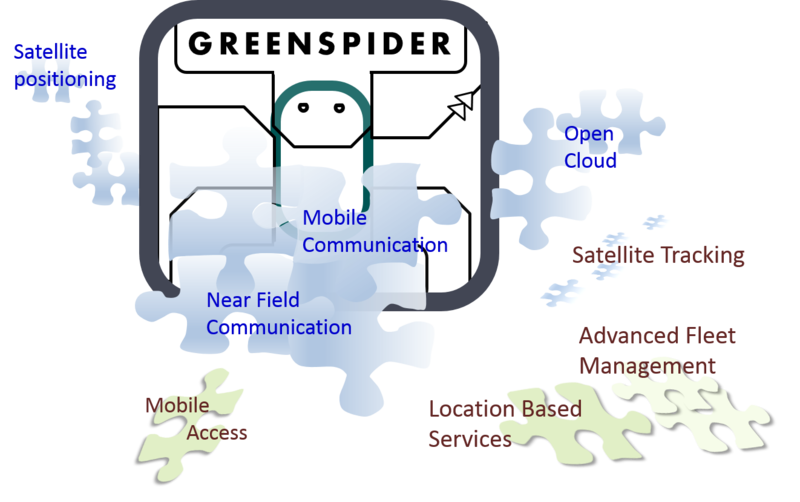 Greenspider is able to offer an end-to-end delivery of SMASH, including on-board device, web services and applets, thanks to a well-defined value chain and business model. 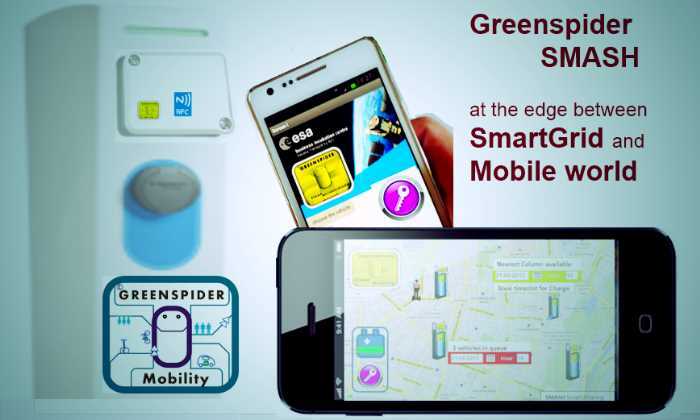 For what concerns the M2M connectivity, essential characteristic of the device, Greenspider signed strategic partnerships with mobile operators interested to deploy Data SIM cards inside SMASH. The connectivity cost is optimized thanks to the adoption of large pool of SIM cards; this permits to apply a convenient monthly price for the end user, embedding the cost for the connectivity and for the service. The feasibility also permitted to specify a fully automated production process, keeping the cost of the device very competitive. For the large scale distribution, Greenspider is establishing partnership with developers of fleet management platforms, willing to integrate SMASH in their cloud, and implement a revenue sharing generated by the monthly fee for each SMASH unit delivered. 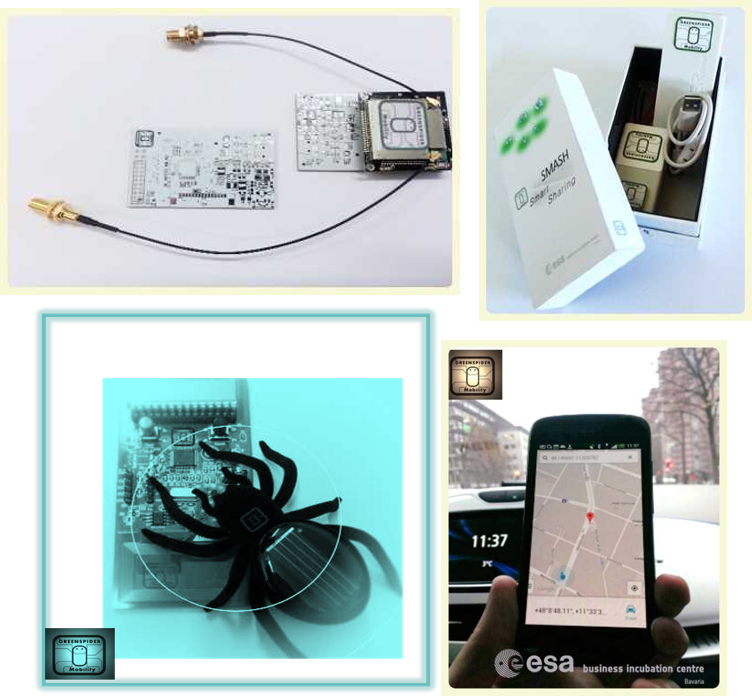 All the components are ready for proceeding to the next phase, and plan an ambitious market launch in the near future. 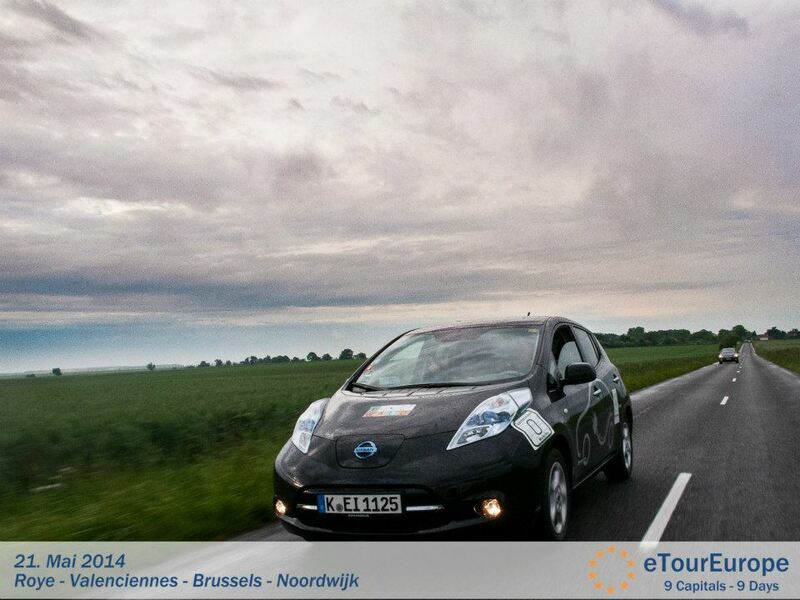 The SMASH proposal aims to contribute to the deployment of fleets of smart, innovative, shared vehicles. 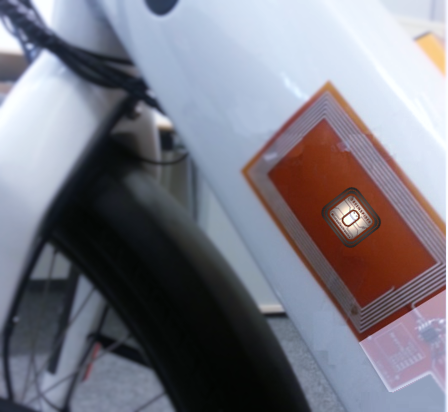 The SMASH device allows the user to interact with vehicles using this technologies, and share credentials, status, usage parameter, and capabilities. In practice it allows the people to use their smartphone as an access key, to lock and unlock vehicles, switch engine, open gates, in a secure and authenticated mode, also enabling reliable pay-per-use model. The deployment of SMASH aims to radically change the user access to mobility scheme, enabling interactivity, mobile payment, and decentralized access solution. 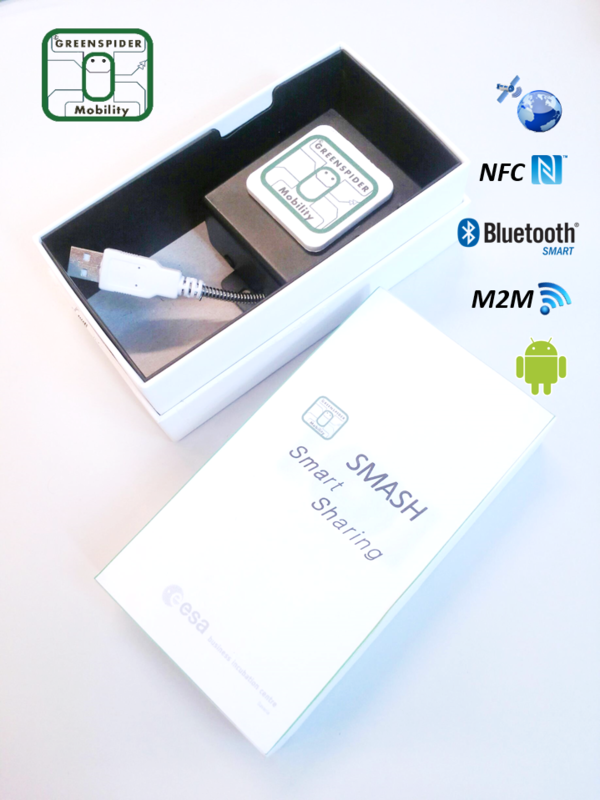 In this respect SMASH fully accomplishes the principles of Industry 4.0, in particular deploying modular services for mobility, enabled by smart nearable objects, and smart data sharing.Real-Time capability and decentralized processing are key features of SMASH device. 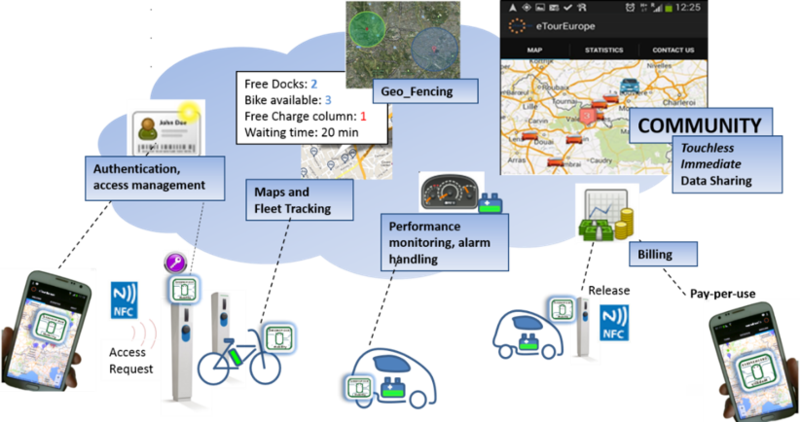 The Advanced Fleet Management Services enabled by SMASH includes the Real-time localization of fleets and Point of Interest on a map, with their usage status and user access capabilities, the update on the cloud of Usage and driving parameters of different kind of mobility resources. The provisioning of this open data for statistics, driving profile and Risk assessment parameters. 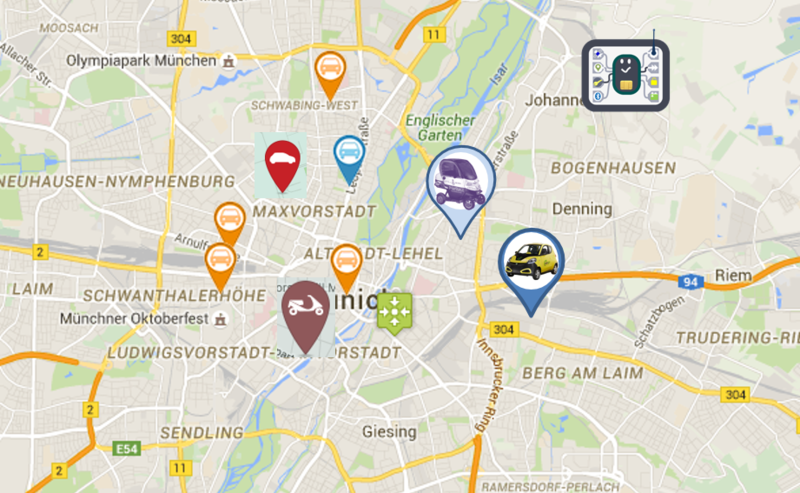 The ambition is to establish SMASH Device as a leading technology solution in the market of fleet management, and deploy Millions of Units in field. The revenue model is then based on the monthly fee, including the cost of the connectivity, and the pricing of the service profile. For implementing this model innovative parternships are in progress, between big operator willing to integrate small smart objects in horizontal connectivity platforms, and opening new vertical markets thanks to this integration.In order to maximize the impact, the company is considering more than one pilot for evidencing the scalability across the different segments.In conclusion, an innovative product like SMASH, embedding in a single device satellite tracking, mobile and proximity communication, confirms a disruptive potential, that is expected to overtake the traditional solution requiring RFID cards for user identification and access, and the traditional fleet management device with no open data sharing capability and proximity interaction.The big challenge is to improve reliability, resiliency and responsiveness in machine-to-machine communication (M2M), involving the human factor.The age of the smartphone and the age of M2M are converging to the new paradigm of "Internet of People and things", and Greenspider, with SMASH proposal, aims to play his role in this global change. The platform SMASH (Smart Sharing) is a solution permitting easy management and access of Electric-Car Sharing, Bike Sharing, and in general vehicle sharing services. 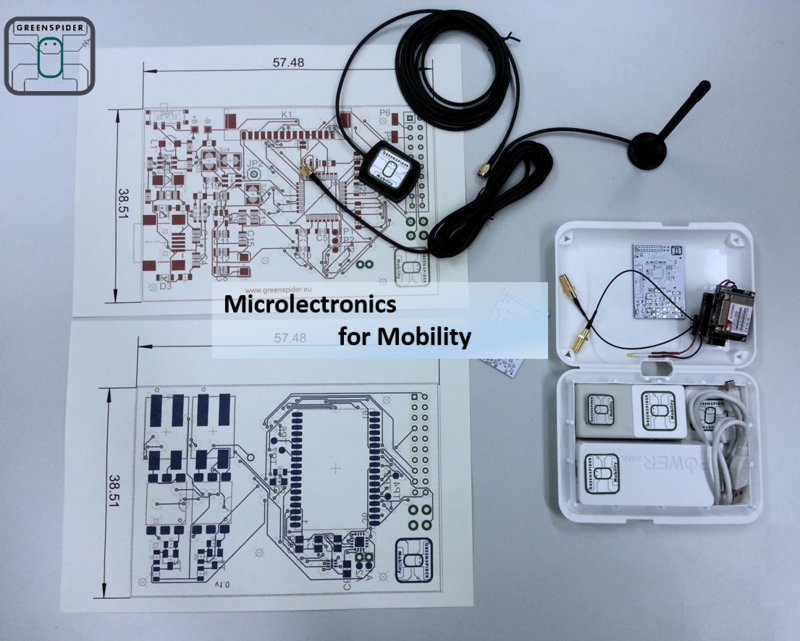 The technology is based on miniaturised low-consumption device, named GREENSPIDER, integrating innovative technologies to facilitate the access and the diffusion of Vehicle Sharing. 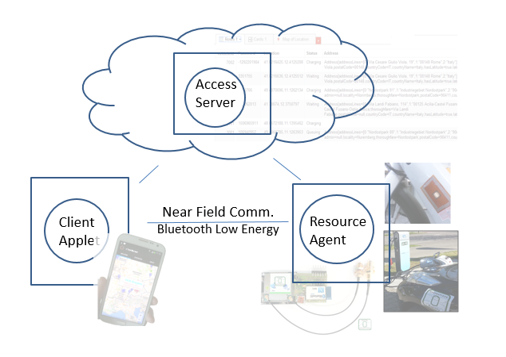 The device embeds satellite localization, proximity technology (NFC) for user identification and easy access to the service, and wireless Data Communication for connecting to a Cloud Computing platform improving the management of the system for the Service provider, and the fruition of the service for the final user. 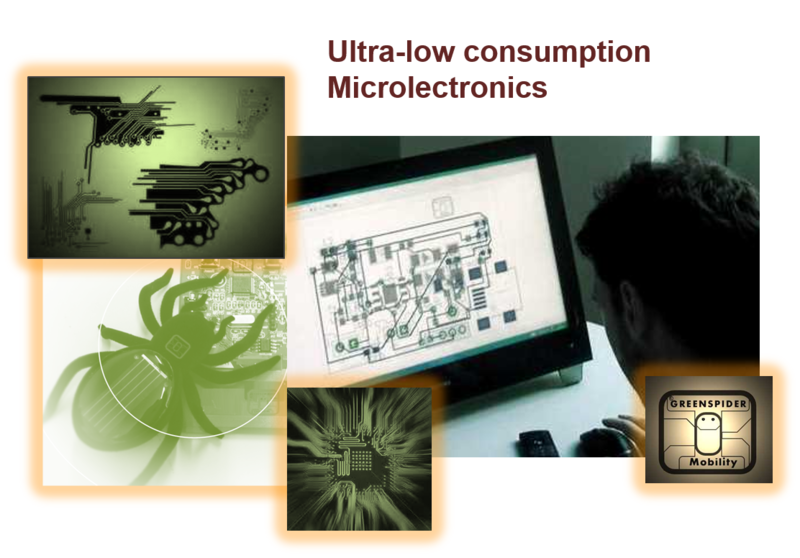 Greenspider’s devices implement an innovative and unique access method (EU patent Application No. EP14 196 604.4), based on a triangular connection between Client Applet, Cloud, and resource Agent. 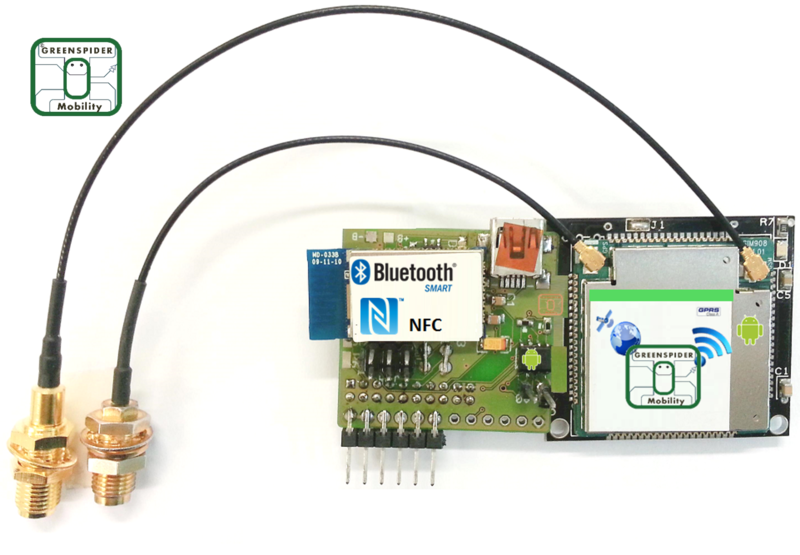 This method ensure robustness and resiliency, because the end-points can align data also in case of break in one of the connection channels.The direct NFC interaction between end-user smartphones and the Greenspider device, permits to exchange and share with the cloud server the authentication factors and the authenticated positioning of the user and the resource in the mobility scheme. With this charactersitic the system address major requirement in the field of innovative mobility and vehicle sharing schemes. 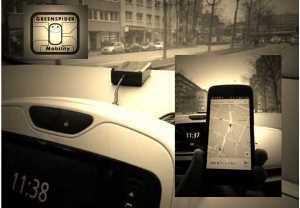 The Authenticated Location Based Access is obtained thanks to the correlation of positioning data of multiple independent systems (SMASH device and user's Smartphone). Additionally, a resilient Data sharing method is obtained thanks the multi-channel connection to the access server. 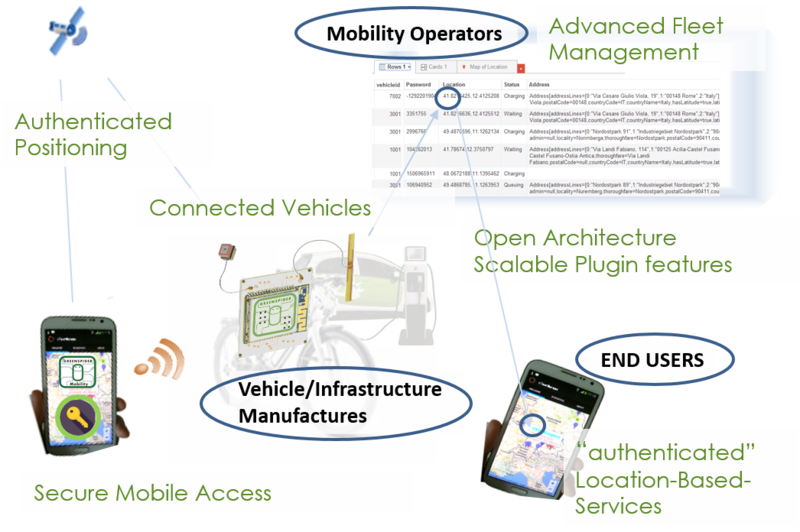 These characteristics enable smart data sharing, easy and secure user access, ability to share information, rating mechanisms, and feedbacks to improve the efficiency of the mobility scheme.